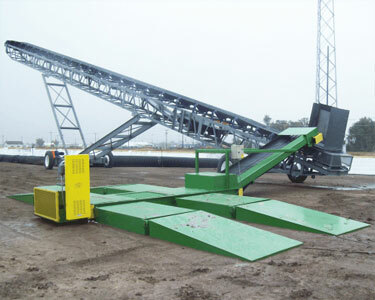 Drive-Over Conveyors & Truck Unloader Systems. 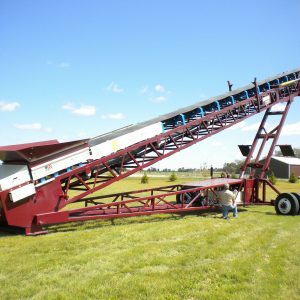 The Drive-Over Conveyors were specifically engineered and designed to accept corn from bottom-hopper trucks, and feed the material onto the 36×120 Grain Radial Stacker, which also operates at 15,000 bph. Durable diamond-plated ramps withstand the heaviest of loads. 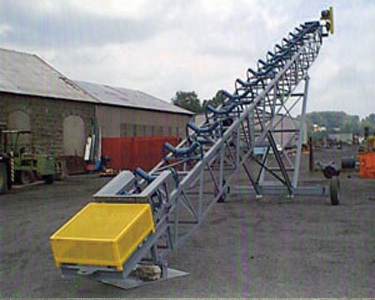 This Drive-Over Conveyor System is dependable, extremely well built and economically-priced drive-over conveyor available. 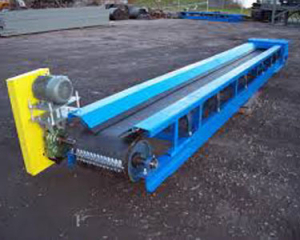 Our Economy Transfer Conveyors are reliable and well built economic solutions. We have a large number of these in stock in various sizes and formations for any use. Built with the same precision and craftsmanship as the original Magnum, the Low Profile Magnum design offers a lower feed height and greater maneuverability while still offering Masaba strength with a large truss depth and wide footprint. Going straight from the pit to the road is fast and easy with our highway portable design. The Masaba Magnum telescoping radial stacker is the complete Low Profile Package. Masaba has been designing and improving the most durable, reliable portable conveyors on the market for three generations. A portable conveyor system from Masaba provides a quick and hassle-free transition from the travel position to being fully operational. If you like hard-working machinery that offers convenience and peace of mind, let the engineering team at Masaba work with you to design the perfect solution. 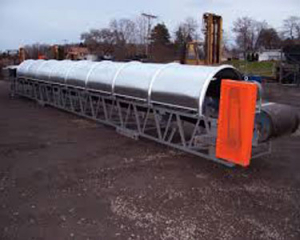 Stackable Conveyors transport several conveyors on one trailer to save on freight. The stackable units will perform multiple functions including transferring and stockpiling materials. Durable high quality welds and designs. 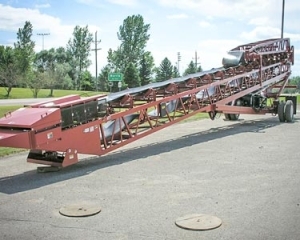 These Stackable Conveyors hold their value with a high resale value history. We also offer a full range of Stackable Conveyor Parts & Components. Masaba will build you the most reliable truck unloader available. 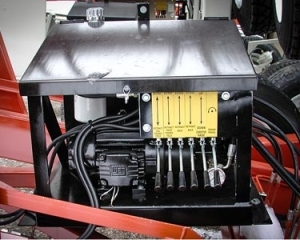 Whether you need an unloading system for stationary applications or a completely portable piece of equipment, our engineers will work with you to design the ideal truck unloader for your operation. For an easy, maneuverable truck unloader, our drive-over, hydraulic ramps keep unloading simple, while our rugged, stationary unloaders are a reliable, permanent solution. Cut belly and end dump truck time and get materials moving faster with Masaba Truck Unloaders.